a good way to tie shoelaces. It is also used decoratively. 1) Tie a half hitch around a rail or post. 2) Tie a second half hitch around the rail or post. is applied. 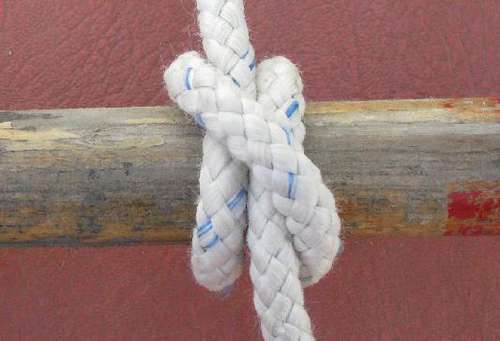 It can be pre-formed in the middle of the rope, then slid over the end of a post.